That was a fitting end to this fantasy week. The week it feels like my Fantasy music died. Tarik Cohen (6-13-0, 1- -6-0/1), forgotten. Evan Engram, forgotten. Tyrell Williams, forgotten. Adam Thielen hopes raised with Sam Bradford back; Sam Bradford is done. I’m pretty sure I could do without another watching of a nationally televised game asking why Tyreek Hill and Tarik Cohen: aren’t getting the ball. I’m just running out of energy with it. checking the schedule…yes, finally, none of my 'guys' (like this) are going TNF, SNF or MNF. It’s not like I’m making this up with tyreek and Tarik and Tyrell. I’m not working with players that have never had any success and am wildly trying to guess the moment of their arrival. We’re not even dealing with players who had one good week but now I’ve gone off the deep end. I look at a lot of the players I’m working with and wondering what in the world a coaching staff is thinking. I’ve written many an article and had many a rant about how dumb NFL coaches are and how underutilized various players are. Not going to do that again here. I’ve been there and done that. Because I’ve been there and done that, I know not to overreact to it too much. None of the stories with my guys ever seems to have a normal path. It was right about this time a few years ago that David Johnson was impressing everyone with every touch, but instead of Bruce Arians being amazed and delighted – he demoted Johnson the third string because of how much he liked Chris Johnson and Andre Ellington. Roughly about this time last year, Jordan Howard had his break out moments and made it quite clear he was the best running back on the Chicago Bears. What did John Fox do with that? He would give Ka'Deem Carey a push ahead of Howard out of the blue, and that sent everyone who owned Howard scrambling…some dropping him soon after they made moves to pick him up off waivers. Only to see it reverse back to Howard soon after. I live in this world every day -- whether it’s the regular season/fantasy, or watching things unfold in the preseason, or just watching teams operate in free agency or in the NFL Draft. You can only count on one thing -- the NFL will stare talent in the face that didn’t come from Alabama, Clemson, Ohio State or just didn't come from power college conferences…and they’ll see it right in front of their face and still not know what they possess. Clueless, always. Sad as that statement is…that people could be paid so highly and be so awful at their jobs – I’ve done this long enough to know another reality… In most cases, the same NFL coaches are dragged kicking and screaming to the more talented players eventually. It may take weeks. It may take years. In most cases, eventually, the talent wins out. Right now, for fantasy 2017, it doesn’t feel like that. You have many of the same players that aren’t helping you. You’re seeing what I’m seeing. Feeling despair/ready to quit this stupid game. Folks, this is the game…the game/life we chose. Sometimes we have seasons like 2016, where we will avoid major injury and we see our David Johnson investments pay off in spades. We discover Tyreek Hill just in time. Jordan Howard becomes that thing. It was a wonderful world in 2016. 2017 is different. We’ve taken on injury after injury, we’ve invested in various cutting-edge talents and these talents still never seem to have a clear path to fantasy goodness. It’s going to be a choppy road in 2017. 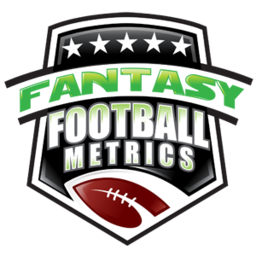 Unless you are currently 'dominating' your fantasy league, all the 3-2/2-3/1-4 teams -- our mission is to be the Green Bay Packers or New England Patriots of fantasy football. Have you noticed how many teams are 2-3/3–2 right now? If you play in multiple leagues, you may be used to more 4-1 and occasional 5-0 situations at this point in the season. I’m staring at a lot of 3-2/2-3 scenarios. I mention that because 2-3 feels like the end of the world, but it’s probably one game away or tied for the tail-end playoff spot. 2–4 next week will probably be behind 3-3 for that final playoff spot…with like 7–8 weeks to go. If you're scuffling, the job is to tread water trying to figure this out. Buying time for young players ascend. Taking advantage of situations where injury changes the ball game and offers up a great waiver grab. Our mission is to stay at the blackjack table as long as possible. It’s what the New England Patriots are going to do to probably repeat as champions – Belichick will figure out something with this ten-day off gap, and just when we want to bury New England…here they rise again. They had to come to grips with the fact that they weren't going 16-0 a long time ago. They are currently 3-2 tied with the New York Jets and Buffalo Bills for first place in the AFC East. Do you think it’s going to end up a dogfight to the finish with the Jets? I say we are like the Fantasy equivalent of the Green Bay Packers because a lot of this can come down to -- as long as you have a top quarterback, in the league that favors QB scoring, you’ve got a chance. We might scuffle at running back all year, but then be the smartest people in the room with our DSTs and kickers and pull wins out of the clear blue sky – raise your hand if your team had a pretty crappy performance this past week but somehow won because the Jacksonville Jaguars DST came through? As long as Green Bay has Aaron Rodgers, it would not be a shock to anyone if they won the Super Bowl. As long as the Pats have Tom Brady, it would not be a shock if they won the Super Bowl. The story was supposed to be the Patriots go 16–0 and then laugh at the entire week on their way to the Super Bowl. Instead, they are going to have the scuffle their way past upstart the Buffalo Bills and overcome various injuries, and keep improving how they use Brandin Cooks. It will be a lot nicer if Gronk stays healthy all year, but they’ll probably lose him again…just like last year, and just like last year probably win the Super Bowl again. Persistence. Homework. Evolve. Adapt. Does anything ever go as planned in fantasy football? That’s part of the charm of this game. You love to hate it and I hate to love it. Let’s keep our cool and not panic. Realize the goal is to keep improving the roster a little bit each week while staying in the playoff hunt, drafting behind the other racers much of the season and then we can make a slingshot move near the end. Now, I’ll commence with the John Fox crucifixion. This game is painful to watch. I was so excited to watch Mitchell Trubisky in action. I was so excited, but I lost my bearings. As I sat watching this game live, I thought to myself – this is one of the dullest offense of game plans in executions I’ve seen this year. As I pondered on that, it hit me – of course it is, we’re watching John Fox battle Mike Zimmer. Of course, the score is 2-0 and 3-2. Of course, the running on first and second down and then trying to throw on third and long. Of course, Mike Zimmer pushed Sam Bradford even though he wasn’t ready. Of course, Benny Cunningham is in before halftime running the two-minute drill, and not Tarik Cohen, who could change the game in one play...by taking the simplest of touches and weaving through 11 other men for score. Who wants that in the two-minute drill? You bet on things related to John Fox or Mike Zimmer for Fantasy – it never turns out well. Remember that exciting offense the Vikings had the first couple weeks of 2017…been figured out. Remember how Tarik Cohen was the centerpiece of the passing game the first couple weeks when the Bears showed some life on offense… Not anymore. Got to get Markus Wheaton touches. All I can say about this game is that I’m happy the Vikings won in the end. I’ve got too many fantasy things tied to the Bears and I cannot have John Fox coaching this team in 2018. I need him fired ASAP. It probably won’t happen until next year, but I need that to happen. Every loss brings them closer. The Vikings have as good a team as there is in the NFC. Could beat any team on any given day – but also lose to them. In the end, they'll slip into the playoffs and never make it to the finale because of Mike Zimmer. Football has moved past John Fox and Mike Zimmer, they just don’t know it yet. John Fox is the easy target to take out because he’s already hated by the GM and the fan base, and every loss is going to help cement that. If there’s a silver lining to take out of this game – the more the Bears lose, the faster John Fox is out and the more the offensive coordinator better start producing numbers if he hopes to find another job quickly in the NFL. There could be hope for Cohen to get back to being the guy from Weeks 1-3 quicker than you think. — So, what’s up with Tarik Cohen? It doesn’t really matter what theory we could espouse on why his touch counts and snap counts are in decline. You have eyes, you watch these games and can clearly see how good he is – how explosive a runner, and how reliable a receiver. We’re not making it up, all you have to do is look back to the first 2-3 weeks of 2017. Whatever the issue something has obviously changed. For my guess, I’ll go with a tried-and-true rationale – NFL head coaches are among the dumbest humans among us. Nothing will convince me otherwise with the exception of Bill Belichick and Sean McVay. Probably Sean McDermott too. John Fox has proven to be ridiculous over and over again, so it’s no shock that he’s back again ruining fantasy lives. Whatever issue, you can’t assume anything going forward. Actually, assume for the worse and operate from there. Cohen does not start next week for most fantasy teams because no one knows what’s going to happen to his touch count. He’s gone from the Bears most targeted guy to barely seeing a target. I wouldn’t give him up trying to hop on the next hot thing because the next hot thing usually works out the same way. As quickly as Cohen dried up, he could get rejuvenated. Last season, John Fox tried to push Ka'Deem Carey and Jeremy Langford ahead of Jordan Howard, after Howard flashed for the first times in the regular season…a few weeks later it was all Jordan Howard and has been to this day. Things change…and then they change back again if they're talented things. Untalented things go away. Talented things have a way of rising to the top..and Cohen is beyond talented. You can’t confidently start coming this week, but you definitely do not getting rid of him. The biggest reason I don’t want to jump from Cohen is…you saw this game last night or even if you didn’t – you know the Bears have the worst wide receivers in the history of football. The best receiver times 10 is Tarik Cohen. That’s why he broke out in the first place. You can't bet confidently on the Bears getting smart, but it’s not out of the question. It happens all the times with guys like this. The bad part is we get caught in the waiting game, and patiently. For those of you lamenting the prices you paid to bring in Cohen after Week 2 -- don’t. It made all the sense in the world at the time. The guy was playing major snaps and seeing heavy touch counts, and was producing. It was happening right out of the preseason. It’s not like this happened out of the blue, out of character midway through the campaign for one weird week…this was the plan of attack right from the jump. Suddenly, now it’s not. We were all desperate for the next star RB, and this looked like it was it. Today, it looks stupid. Next week, 'genius' status may happen again. Hey, just when you thought Jerick McKinnon was dead and buried -- look what he did. So what if it just took 2-3 years. — Speaking of Jerick McKinnon (16-95-1, 6-51-0/6)… He’s going to be the hot waiver guy of the week. We all love him. I have them rated as most trustworthy waiver guy of the week – but note I don’t like anyone off of waivers this week. If you think Cohen's usage pattern is bizarre, Jerick McKinnon‘s as/more talented than Cohen and has been waiting years for an opportunity. Every time he gets said opportunity, Mike Zimmer comes and takes it away. I’m sure he will again. As I sit down the open my presents at Christmas time, if Jerick McKinnon is the main workhorse running back for the Vikings rushing for well past 1,000+ yards and several TDs… I may retire from football analysis. I know he has the capability, I just don’t trust Zimmer…who has literally never delivered for an offensive player consistently except Dalvin Cook having a couple nice moments. Before McKinnon saw his first touch in this game, C.J. Ham was getting touches – are you kidding me. The KMK breakout was not supposed to happen. You think Mike Zimmer is going to make Jerick an all-star? Did you think Stefon Diggs (1-4-0/4) was going to stay a top 10 fantasy wide receiver? Did you think Adam Thelen (5-34-0/8) would join Diggs in that top 10? Every time I have faith in something connected to like Zimmer it’s been a disaster. I don’t have one reason why it would be different this time for McKinnon…just prayers to heaven. — John Fox is just a different version of Mike Zimmer. Old-school defensive coaches who try to keep games close and win them in the final couple minutes. They live to get a quick lead and just do nothing hoping for the clock to expire to hand them the victory. They don’t make things happen they just get in the way. Case in point – the Mitchell Trubisky (12-25-for 128 yads, 1 TD/1 INT) debut. If you watched the game, you saw what I saw… Trubisky came out on fire. Every pass was crisp and came out of his hand like a laser beam…a laser beam with satellite tracking delivering the ball in the most perfect spot even in the tightest of windows. After the first drive, you thought Trubisky would pass for over 300+ yards and be a hero. Instead, the Bears tried to sit on their voluptuous 2–0 lead. Run. Run. Third and long pass. I have no problem with Trubisky on third and long if he had any wide receivers that weren't former Tennessee Titans cast offs. How bad is your NFL roster when you’re starting wide receivers are basically equivalent to practice squad guys on other teams? This game went about how I expected/feared it would for Trubisky. The Bears have absolute garbage at receiver and didn’t put Cohen in much as an option, and then the offense got dull. That 2-0 lead Just couldn’t hold up. The one thing to remember about Trubisky for 2017 -- remember that Deshaun Watson looked like a complete buffoon in his first start against Cincinnati. Remember that one, on national TV? The following weeks Watson sets records. The more Trubisky gets into my groove, even John Fox cannot stop him. I thought Trubisky played fine and looked exceptional at times. I have no doubts about it. The best quarterback ever scouted out of college. The next Aaron Rodgers. — What was so amazing watching Trubisky at work, if you happened to catch it, was Trubisky so comfortable moving around in the pocket and just waving players to change course to get open for him. He was like an agitated Magic Johnson playing point guard in his prime in a local YMCA pick-up game. The Chicago Bears, as currently constituted, from coach the wide receiver…they’re all beneath Truubisky. It’s pearls on a pig. With that being said, the one guy Trubisky seemed to have some concern for throwing the ball to was Zach Miller (3-39-1/7). I’ve said it multiple times this season, Miller is the best receiving the Bears have at WR or TE…and that might matter ahead. You could have a worse TE2 who could become a TE1 in short order. Trubisky has to throw to somebody, and it cannot be that steaming garbage pile known as the Bears wide receiver group. — The Vikings have the opposite problem – they have the best wide receiver duo in the NFL…and they're now stuck working with Case Keenum and with the delicate offensive genius Mike Zimmer. Mike Zimmer is to offense what Jeff Fisher was to offense in 2016. We are right back again. It was a little bit of a head-fake with Sam Bradford in week one, but there’s always a bit of a head-fake with Sam Bradford in his debut games in any given season. Is it any surprise Jeff Fisher’s most beloved QB was Case Keenum…and that’s now Mike Zimmer’s guy? Surprised that both Zimmer and Fisher loved and paid dearly for Sam Bradford? Because the Vikings have a good defense. Because Zimmer loves to run the ball and sit on leads, and because Sam Bradford is consistent in only one thing…getting hurt and missing seasons, any hope in Diggs or Thielen as WR1 shots is pretty much going out the door. Coaches rarely/don’t change. Even if they stumble onto something spectacular, they can’t see it. They go right back to doing what they always do. Zimmer had an electrifying offense for about two games in the first three weeks of 2017…and reverted right back to his usual ways after. Thielen and Diggs will get the catches and yards, but you can kiss the upside goodbye because they’ll be lucky to score four TDs each the rest of the season. If Sam Bradford we're fully healthy, I'd feel little bit better. But if I play the odds and what’s always been true – Zimmer will be Zimmer, and Sam Bradford will always be hurt…which means it’s best to squelch any higher expectations. There’s always hope with Diggs and Thielen because they are so good, and they won’t hurt you, but the upside has been stripped away. Some of us need wide receivers with more upside right now – like Brandin Cooks; someone in a high-functioning offense. Five catches for 60 yards and no TD games are going to turn your season around.